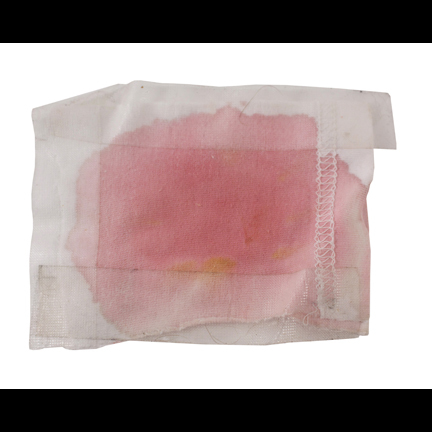 This set of taped medical bandages with applied faux blood were utilized by the character “Jack Bauer” played by actor Kiefer Sutherland in the eighth season of the award winning television series “24”, which ran from 2001 to 2010. 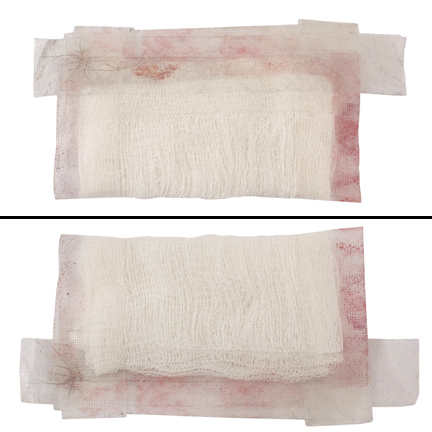 The bandages first appeared prominently onscreen in Episode 7 (“Day 8: 10:00pm – 11:00pm”) after the sequence where “Renee Walker” (Annie Wersching) goes berserk and stabs “Vladimir Laitanan” (Callum Kieth Rennie) to death with a knife. Jack interrupts her while she’s still hysterical and she accidentally stabs him in the side of the abdomen. 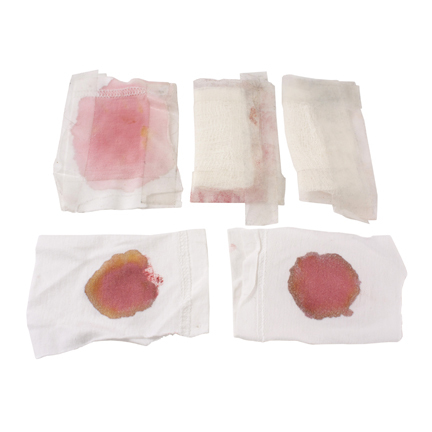 Jack can clearly be seen bandaging his injury using these dressings in the following scene while he briefs “Brian Hastings” (Mykelti Williamson) about Laitanan’s death. 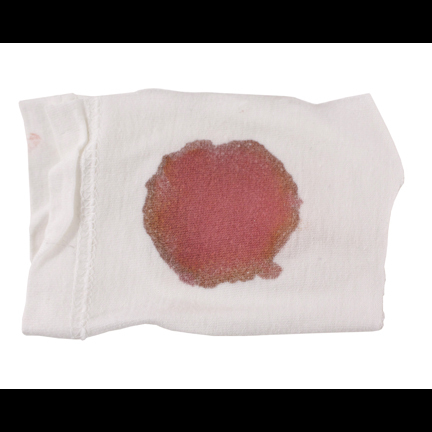 He continued to wear the bloody dressings in the following episode and they can clearly be seen taped to his abdomen beneath his open shirt during the sequence where Jack’s been taken hostage before being strung up and tortured with electricity by “Dimitri” (Jordan Marder). 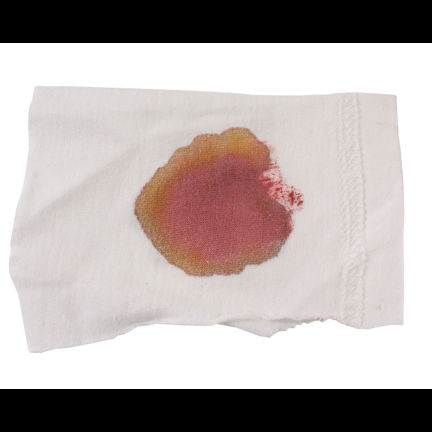 The bandages with applied fake blood are in good screen used condition as seen in the series and are accompanied by a letter of authenticity.